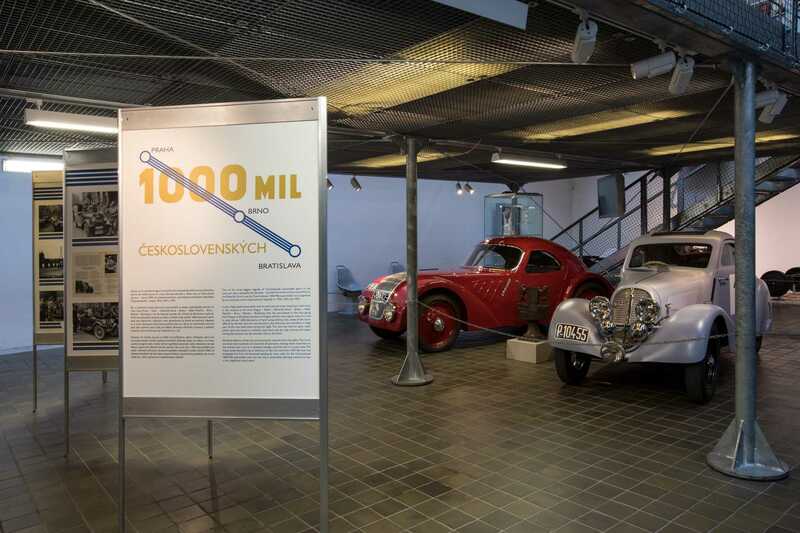 This exhibition stands in our Museum to reminds us the history as well as the present of famous First Republic era race known as 1000 Miles Czechoslovakia. This exhibition presents some of the cars that attended the races in the era of First Republic: Aero 750 Sport Coupé, Wikov 7/28 and Jawa 750. One of the legendary races of car sport was 1000 Miles of Czechoslovakia race held by Car Club of the Czechoslovakia Republic held in 1933, 1934 and 1935. It was speed race of travel cars that took place on the most important roads in Czechoslovakia. I led from Prague – Kolín – Německý brod – Jihlava –Velké Meziříčí – Brno – Břeclav to Bratislava and back. This track was taken constantly and two times for a race – so the total destination travelled by the drivers cars without having a rest was 1600 Kilometres. The history, as well as the present of the race, is now remembered by our little exposition in Transportation hall of the National Technical Museum. This exhibition presents some of the cars that attended the races in the era of First Republic: Aero 750 Sport Coupé, Wikov 7/28 and Jawa 750, also some of prizes and plaques are displayed together with the cup for the absolute winner of the third race.